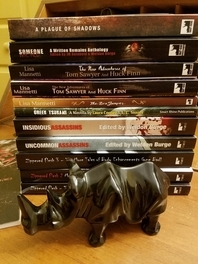 The mascot for Smart Rhino Publications is, of course, a rhinoceros--a black onyx one, to be precise. 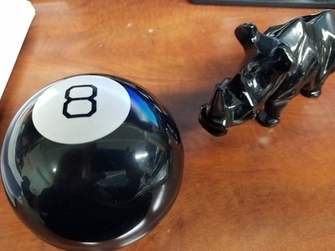 For fun, we've placed him in a number of scenarios that you may find ... um ... interesting. Smart Rhino is having second thoughts about online dating. Shaun Meeks has few fears. Not much scares him. After all, his disturbing stories have appeared in Zippered Flesh 2 and 3, Someone Wicked, and Insidious Assassins. Yet, Smart Rhino still gives him nightmares! 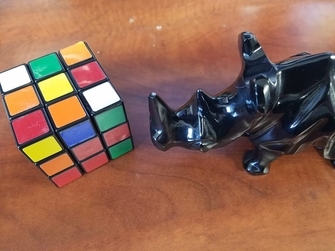 Not to be pessimistic or anything, but Smart Rhino worries because he always gets DON'T COUNT ON IT. 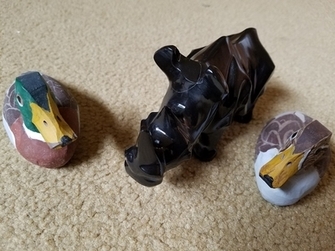 Smart Rhino prefers cheese with his quackers. 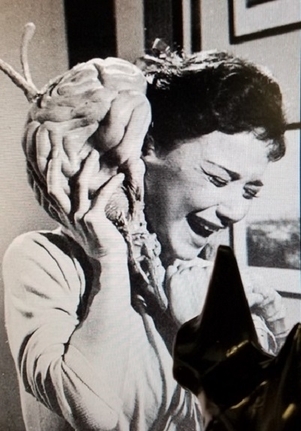 Smart Rhino loves the bizarre body modifications in the Zippered Flesh anthologies. 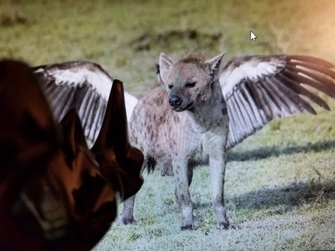 But a hyena with wings is just too freakin' weird. Smart Rhino enjoys gardening. Now he's not so sure. Smart Rhino is strangely--yet somehow appropriately--aroused. 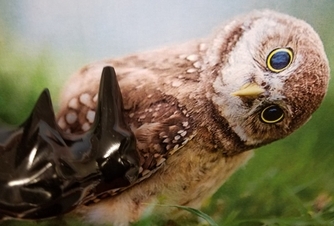 They say owls are wise. But Smart Rhino isn't convinced. Larry is something of a moron. 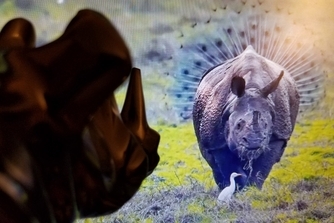 Smart Rhino is beginning to think he needs to revise his eharmony profile. 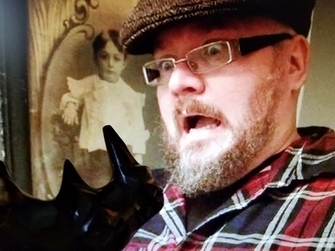 Jeff Strand has an insurmountable case of rhinophobia. 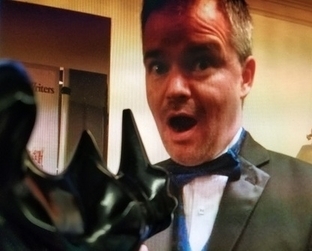 Smart Rhino finds this hilarious and scares Jeff whenever he has the opportunity. 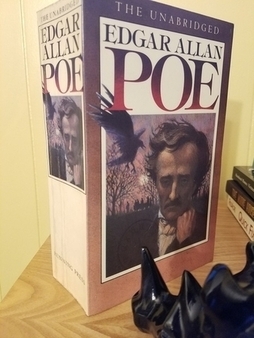 Check out Jeff's story, "The Fierce Stabbing and Subsequent Post-Death Vengeance of Scooter Brown," in A Plague of Shadows. Not a single rhino in the tale! 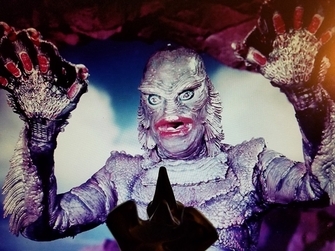 Yeah, you've got gills, fishboy. Big whoop. And what's with this lipstick? 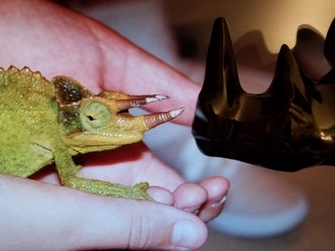 Smart Rhino hates uppity amphibians. Well, maybe an amphibian, he's not sure. Sheesh. 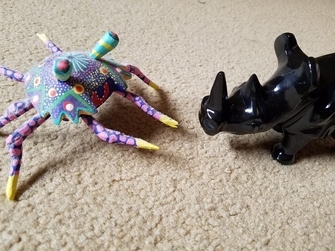 Smart Rhino hates crabs. Especially psychedelic ones. They're really not that tasty. Lousy crab imperial. 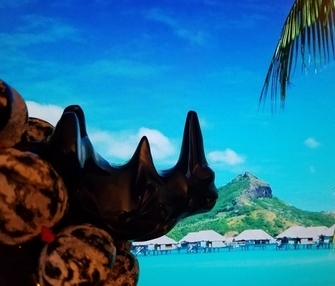 Smart Rhino can always dream of paradise. He can certainly tolerate sand between his toes--even imaginary sand. 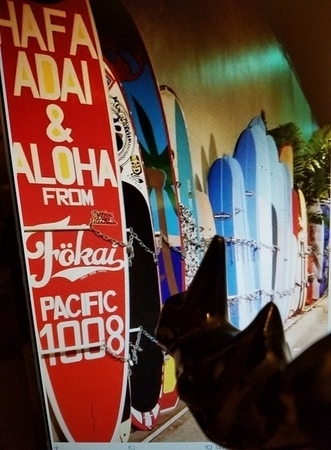 Smart Rhino would love to go surfing off of Waikiki. But, for him, it would be more like sinking. 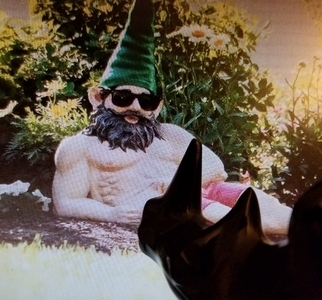 Smart Rhino loves when Weldon reads him bedtime stories! 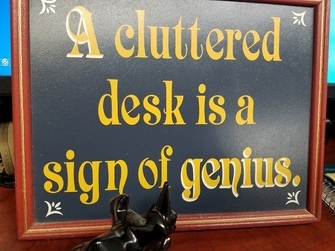 Smart Rhino thinks he must be Einstein. Or Stephen Hawking. Or maybe just a slob. Smart Rhino prefers brainy girls. But sometimes you can have too much of a good thing. Smart Rhino is up for some light reading. 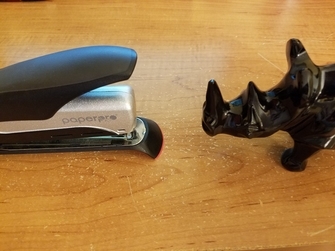 Smart Rhino thinks there's a more productive use of his time. Solving the conundrum of finding more sleep, for example. 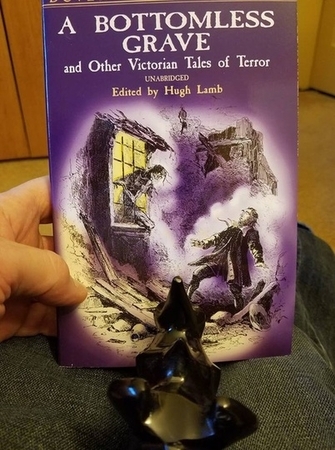 Maria Masington's stories have appeared in the Someone Wicked and A Plague of Shadows anthologies. She loves Smart Rhino. But she does have her boundaries ... smooching large African animals just isn't her thing! Amy York designed the covers for Smart Rhino's Someone Wicked,The Box Jumper, and the Tom & Huck books by Lisa Mannetti. 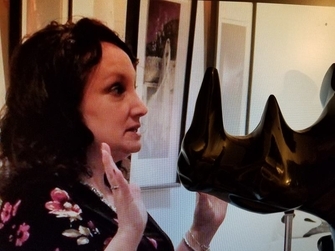 Smart Rhino thinks Amy is very talented. 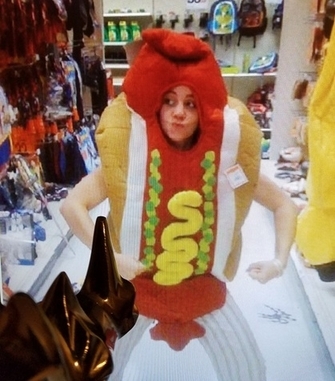 But, on some days, she just wants to be a wiener. Get a grip! 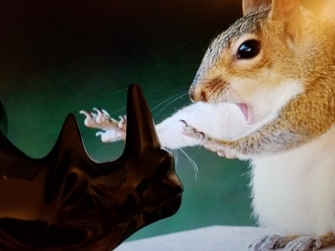 Smart Rhino doesn't even like nuts. Go back to your tree, silly rodent! 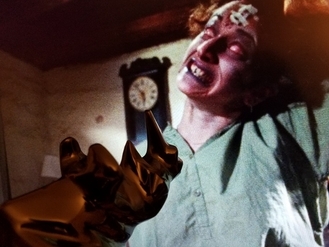 Smart Rhino is creeped out by clowns. 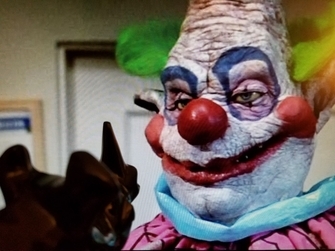 Especially killer klowns from outer space! 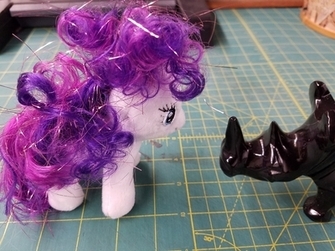 Not exactly the slumber party Smart Rhino had in mind. Smart Rhino thinks this "who's hornier" debate is just stupid. Smart Rhino thinks he may be in love! 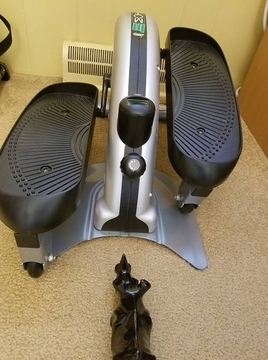 Smart Rhino was thinking about starting an exercise regimen.